With winter now upon us and the subsequent shorter days I’ve had more time to get back into doing some gadgety stuff, both practical and programming. I also did some electronics building when just before our holiday I made a small circuit board to aid the security of the house whilst we were away. It would be rather daft to say what it did but suffice to say it was still working when we got back a month later and we were not burgled! And so to Christmas and my main present from Tina. The festive celebration wouldn’t be the same without getting a gadget and this year was no different, although some would argue the present is actually a toy. Whilst listening to one of my technology podcasts earlier in the month I heard about a robotic device called the ‘Sphero‘ that could be controlled and programmed with your phone and once I looked it up I had to have one. And this week, when Santa called, I finally got to play with my gadget…sort of. The plastic covered ball is really controllable and the technology to get it to move around like it does is pretty amazing. 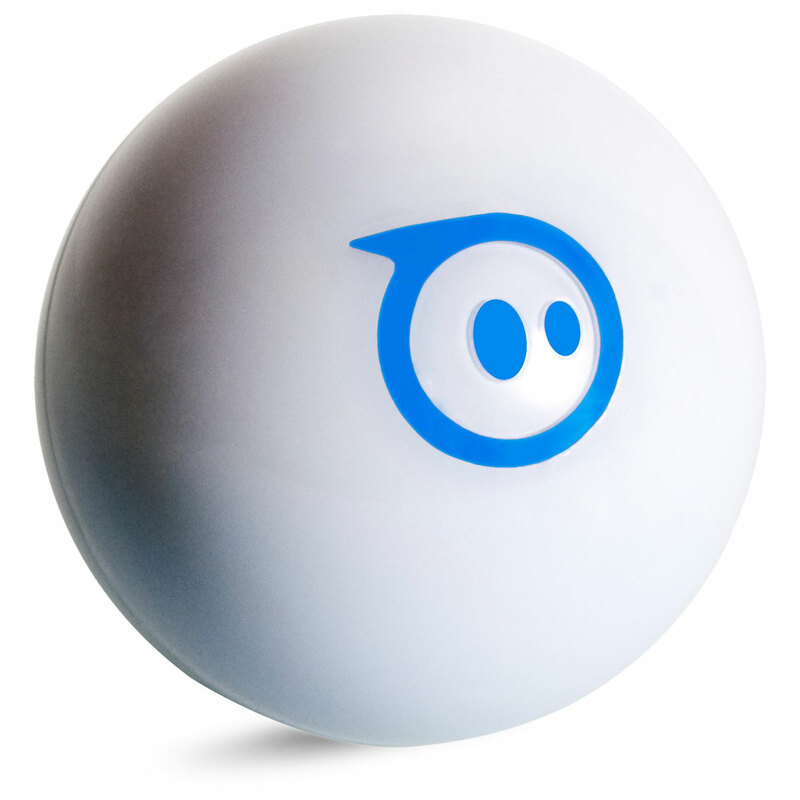 Sphero comes with a couple of ramps, loads of free apps and some challenges to help you get to grips with its flexible maneuverability and to aid steering. As you get better with its control you can level up which enhances the play experience and gives access to more tricks and functions. Of course what I did forget is that it also would attract some unwanted attention by our four legged friend, namely Rio who now thinks he’s got a flashing, moving toy ball to play with. Still it is funny seeing him carry it around in his mouth, pleased he’s managed to catch the lively and glowing ball. My next challenge is to try to control it through the Raspberry Pi, programming it using Python, although I think my skills may need to be improved a bit before I can get it whizzing around the room. This entry was posted in Gadget Stuff, Pet Stuff, Toy Stuff and tagged christmas 14, gadget, robot, sphero by Graham. Bookmark the permalink. Ooh, we have stuff to talk about don’t we? I missed your call t’other week when I was on the landline. Meant to ring you back, but it went right out of my head. Sorry.